Episodenführer (Episode Guide) - robert-urichs Jimdo-Page! Eine deutsche Inhaltsangabe habe ich leider nicht, reiche ich nach, sobald ich eine finde oder diesen Zweiteiler selbst habe. Officer Terry Webster is temporarily assigned to the S.W.A.T. 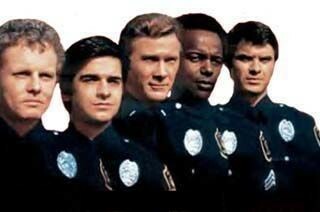 team, but has a problem with Hondo's hard-nosed approach to police work. Harrelson is the head of the Special Weapons and Tactics team, a unit trained to handle unusually volatile situations. His hard-nosed attitude about police work irks rookie Terry Webster. (This Rookies episode served as the pilot for the S.W.A.T. series). Conclusion. Harrelson is the head of the Special Weapons and Tactics team, a unit trained to handle unusually volatile situations. His hard-nosed attitude about police work irks rookie Terry Webster.